Sometimes you just need a little bacon. I try to stay healthy by eating a lot of vegetables and very little meat during the week, but on some rare occasions I can’t resist. 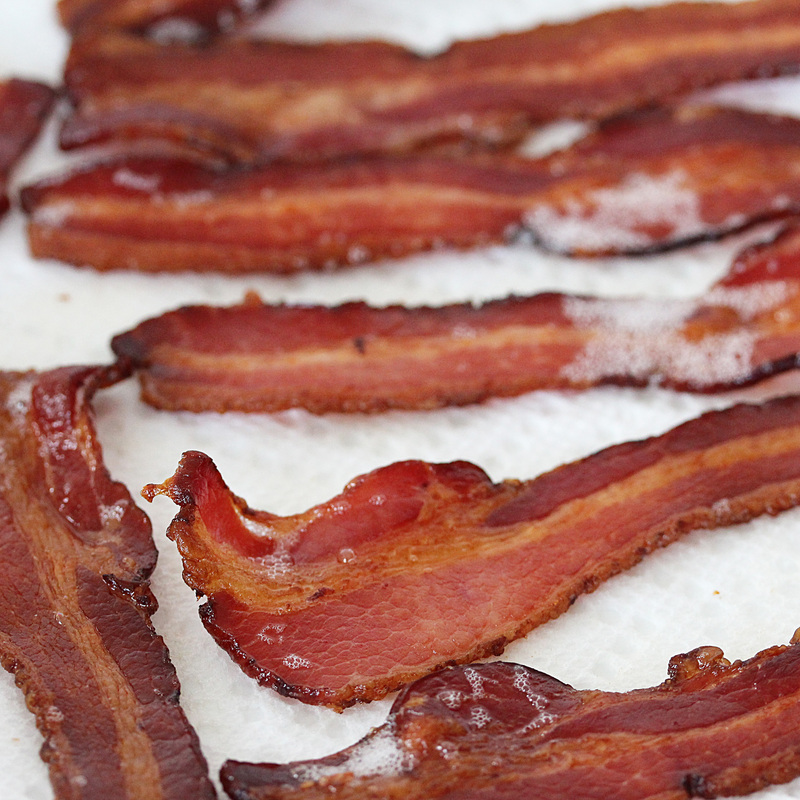 Frying bacon can be a messy process, leaving grease splattered everywhere and your clothes smelling like a fast food restaurant. 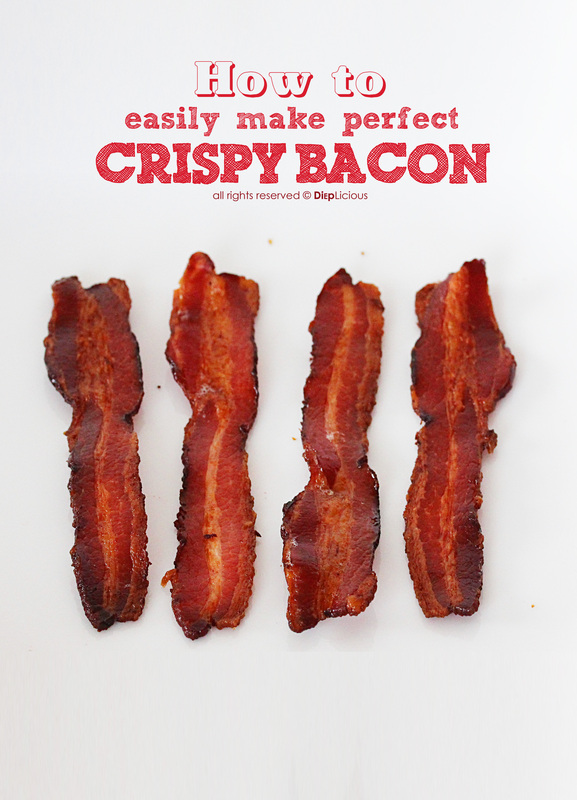 A simple trick to avoid that is by preparing bacon in the oven, where the bacon turns out perfectly shaped and crispy instead of shrunken and uneven. 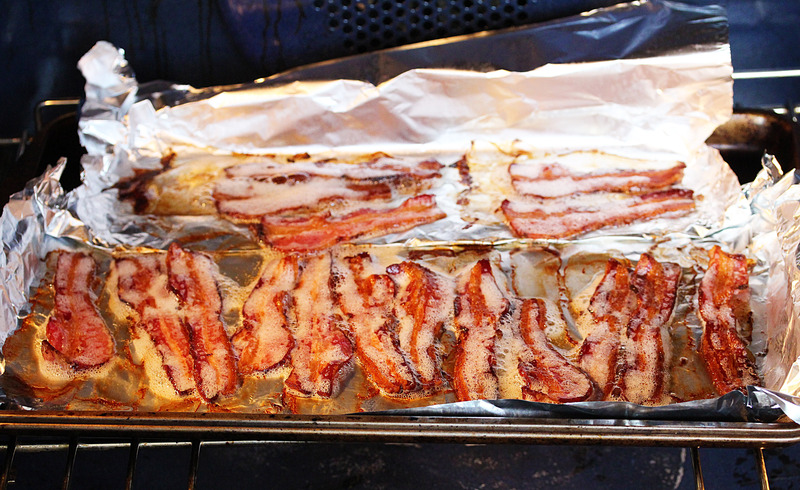 Arrange the bacon slices on the foil andplace thebaking sheet in the center of a cold oven. Turn the oven up to 400 oF and let the oven do all the work for you. Keep an eye on the bacon and turn it once to get both sides evenly crispy. Once the bacon is brown and crispy transfer the bacon to another baking sheet lined with paper towels to absorb the excess grease. Now that’s really beautiful bacon slices!